There was a time when the Circle of Kingdoms was young; a time when the world was much larger than it is now, when the oceans that divided the lands were vast and boundless. For centuries, mankind flourished. They struck out from the city of the white tower, the city founded by Syrentus and his people, to venture and explore. New cities were born: the kingdoms of Krartha, Palentium, Vardia and Orr. It was an era of heroes, a time when the gods frequented the mortal world, guiding, challenging and testing. It was an age of adventure, of wonder and myth. Man soon discovered they were not alone in the world. They found the sh’a, calteri, bacyan and tun. And their dealings with the Circle were peaceful. As the world grew smaller, Man conquered the ocean, building ships to sail the seas. 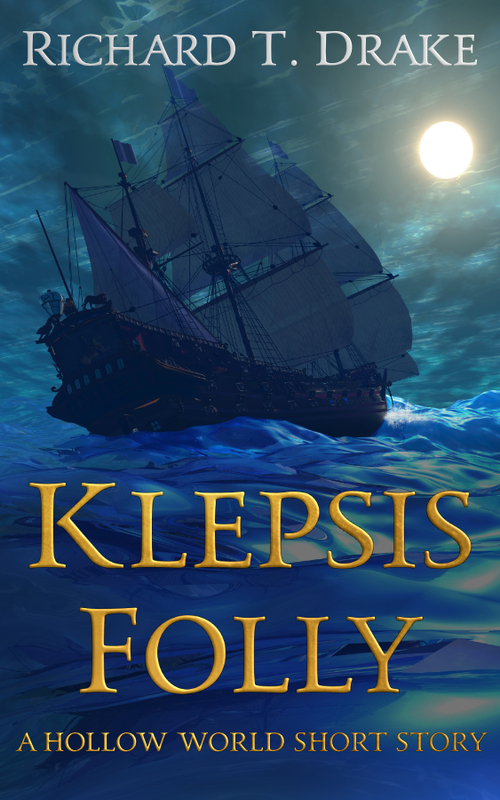 There was a merchant named Klepsis who sailed further than any other. Set on fortune, he travelled north, across the Unspoken Sea, to a place where the rivers boiled and the sun turned the land red. Here, he discovered the realm of Ka’Ruda. Klepsis’ eyes gleamed at the sight of the exotic kingdom, with its sweeping desert palaces and temples of gold, and his heart burned with untamed desire. For so rich were the Ka’Rudans, they gave their gold as little regard as their clay. Instead, their passion was saved for feasts and merriment, all to win the favour of their patron, Zawar, the goddess of flame. Overlords dined in grand palaces, while their lands were worked by an army of slaves. Klepsis was a young and cunning man; he knew that what was rare in one land could be commonplace in another, and so he set to work discovering the wants of Ka’Ruda. Klepsis travelled the distant realm, paying tribute to the overlords and kings. And while he found that gold and silver were plentiful, he learned that Ka’Ruda was poor in silks and spices. Those were only the deficiencies they knew of – they had never even heard of wine. As Klepsis travelled, he boasted of the wonders found in the Circle of Kingdoms, his reputation growing all the while. At last, he was invited to the great port-city of Lojuto to feast with the ruler of all Ka’Ruda – Ooba, the many-bellied king. Klepsis knew this was the chance he had been waiting for. He garbed himself in his finest silks and decorated his ears with diamonds. Then, when the feast had reached the height of merriment, Klepsis presented the many-bellied king with a gift: three of the Circle of Kingdoms’ finest spiced wines. King Ooba was pleased with his gifts. He admired Klepsis’ fine clothes, he laughed at the tumbling and dancing of Klepsis’ tun servant, and they drank together until the sky turned light. Finally, the feast drew to an end, and King Ooba declared Klepsis’ spiced wine the best thing he had ever tasted. He followed this with a promise: should Klepsis return with more fine wine and silk, Ooba would visit upon him a fortune in gold and silver. Klepsis returned to Calambria, hungry for his reward. He sent word throughout the Circle of Kingdoms, gathering every merchant he knew. Klepsis haggled, traded, and bargained, buying all the silk and wine he could find. He negotiated the purchase of huge ships, their empty bellies waiting for cargo. But Klepsis’ most devious ploy was to capture an entire burrow of tun, to take to Ooba as slaves. When Klepsis was done, his family’s fortune was spent, but he knew his reward would be greater. He set sail for Ka’Ruda in a dozen-strong fleet, every ship’s hull full to bursting. Cargoes of fine silk, spun by the legendary fire-moths of the Swollen Jungle, casks of spiced wine from the Novolis Valley, and cider from the banks of the Mooranbil River. As Klepsis sailed the Strait of Black Shallows into the great port of Lojuto, his heart was light and hopeful. But Klepsis’ glee soon turned to despair. In the months he had been gone, Ooba the many-bellied king had died. Now, on the throne, sat his daughter, Nwali, of mountain temper. Nwali was swift of foot and sharp of mind, more cunning than her father. To Klepsis’ dismay, she had no interest in wine and laughed at his silky clothes. Worst of all, she set Klepsis’ tun free, declaring that he had no right to them. But while Nwali was proud, she was also fair. After three days’ thought, she agreed to honour her father’s pledge, with only the slightest amendment. Nwali explained that, while Ka’Ruda was rich, their land was dry, and trees would not grow. What timber they had came from the distant north, in the lands beyond the Dreaming Desert. Every year, merchants would travel to fetch supplies, and many would die on the journey. But with Klepsis’ great fleet, Nwali’s people would have fuel to burn for the winter. Nwali put to Klepsis a bargain: though she would not barter for silk or wine, if he would give her all but one of his ships, Nwali would fill that last ship with all the gold and silver the merchant could carry. Klepsis readily agreed, for the deal was more than he could ask for. He chose his largest ship and emptied it quickly, leaving his wines and silks on the shore. For two days, Klepis watched as Nwali’s men carried aboard their gifts of gold and silver. When he finally set sail, his ship sat so heavily in the water that the waves lapped at the deck. He looked uneasily back at the shore, where Nwali offered the strangest of smiles. Only as he sailed into the Strait of Black Shallows did Klepsis realise his error. He cursed the name of the cunning little queen as the rocks tore at his ship’s belly. Nwali had tricked him into giving away his ships and wares for free, for the queen’s divers would have little trouble reclaiming their treasures from the strait’s shallow waters. As the waves closed over Klepsis’ head, his anger was black and his heart was heavy. He had spent his family’s fortune for the right to die a poor stranger in a foreign sea, and his name would be forgotten. On this last count, at least, Klepsis was mistaken. Only a few years later, Nwali’s own delegation sailed over his watery grave, eager to satisfy their people’s newfound fondness for silk and wine. They proposed deals far more to their favour than what the merchant had offered. And in the taverns, they shared a cautionary tale that would spread across the Circle of Kingdoms. It has been many generations since ‘Klepsis’ folly’ entered the common tongue. The phrase is snarled in games of chance and endeavours of love, whenever a player’s foolhardy gambit helps only his enemy. And still to this day, people speak of the merchant whose greed invited great ruin, and warn of Klepsis’ folly.